Vertical parting, turn over type with swing door. Plate size: 300 x 600, 400 x 600 mm. 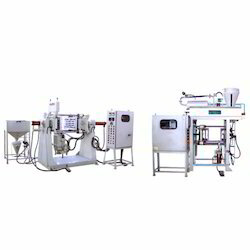 All the operations have timer, and hence each operations can be set as per required time and the machine operates as per the time settings, sand feeding to sand shooting tank is also automatic. A: Swing door type: This is a vertical parting with turn over top blow. Swing door operation enables easy ejection of core from corebox. B: Top shooting type::this automatic shell core shooter is a top shooting type. Vertical parting line. Roll over type design, minimum lead time, and increased production. Shell Core Shooters Are Manufactured In Many Sizes For Vertical And Horizontal Parting Line Core Boxes. 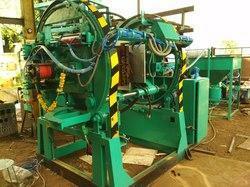 SHELL CORE SHOOTER FOR VERTICAL PARTING LINE CORE BOXES.